“Do you go to church?” my doctor asked near the end of my appointment. I looked up, a little surprised. I answered no. “Look into it,” she said with a smile. I thought of telling her that I was an atheist and therefore not going to look into church of any sort, but I reconsidered. On separate occasions, other well meaning strangers, therapists, doctors, and family members have lectured, preached, and pushed the importance of God and religion on me. There are days when I push back on this and make it clear that no, I don’t need or want religion in my life. But then there are days when I remember how fruitless a lot of these conversations have been, and I just politely nod and stop listening. I can’t imagine that this is a rare experience among black nonbelievers, who are at times mischaracterized as bitter, starved of meaning, amoral, and nonexistent by other members of an overwhelmingly religious black community. The notion that black nonbelievers are rare isn’t completely unfounded. Black people in the US are more likely than any other racial group to report religious affiliation according to this Pew Forum on Religion and Public Life Survey. What’s more, religion has played a significant role in black community, civic life, and organizing. People can easily name black civil rights leaders strongly affiliated with Christianity and Islam, as Martin Luther King, Jr. and Malcolm X were respectively. However, the fact that nonbelievers have also played a significant role in shaping black history gets downplayed and eclipsed. The invisibility of black nonbelievers isn’t just a consequence of being a minority within minorities. It also stems from a societal stigma against atheism and secularism. Many theists, religious or otherwise, think of nonbelievers as arrogant, embittered with God, overprivileged, obsessed with religion, or devoid of morals and life meaning. And when nonbelievers do push back against these misconceptions by being vocal about their nonbelief, they are criticized for being dogmatic and religious themselves. After all, if nonbelievers don’t need religion, why should they define themselves in opposition to it? This is why the black community needs more vocal nonbelievers. Even in social justice contexts, the omnipresence of religion and prayer contributes to the erasure of black nonbelievers. As it happens, more black nonbelievers are openly identifying themselves. Organizations like Black Nonbelievers (BN) create opportunities for black non-theists to meet each other, including those who have been shunned by friends and family for simply not believing in God. The trend of black nonbelievers openly identifying themselves pushes back against several harmful myths about their place in the black community. Here are three examples. The general population is well aware of the existence of atheists by now. Dawkins, Harris, and other prominent white atheists have made sure of that. But black atheists make up less than 0.5% of the black population in the US and a very small proportion of the atheist population. Though logic dictates that black nonbelievers must exist, their small numbers and lack of visibility contribute to their erasure. Because perpetuating the myth that black people are inherently theistic ignores the diversity of thought that actually exists within the black community. It contributes to the stereotyping of black culture as monolithic, even amongst black people who (should) know better. Furthermore, when people don’t consider the possibility of black nonbelievers existing, it can affect their relationships with the non-religious people in their lives. These are just a few examples of the ways that nonbelievers in general are invalidated, annoyed, and silenced by well meaning people. The smaller number of nonbelievers in the black community heightens their erasure in particular. Black nonbelievers often encounter the assumption that because they are black, religion and spirituality should be especially important to them. And when this assumption is coming from other black people who are themselves religious, it can feel like a denial of cultural identity to express one’s nonbelief. Recognizing and affirming the existence of black nonbelievers isn’t just about making them more comfortable. If members of the black community strive to recognize and understand people with different views of the world, they can more thoughtfully approach and get along with the people in their lives with whom they disagree. A lot of prominent freethinkers, humanists, and atheists seem more concerned with denouncing religion than solving issues of structural inequality and systematic injustice. This contributes to the myth that nonbelievers are unconcerned with social justice, or are less concerned with doing good in the world than religious people. There have been a number of skeptics, mostly older white men, who have made the case for abandoning religion in the modern age. But for all the Dawkins, Hitchens, and Harrises in the atheist world, there aren’t as many skeptics focused on feminism, racial justice, and other sociopolitical issues that would exist with or without religion. Alongside the myth of the apathetic nonbeliever are even greater myths about religion’s role in black culture. Religion can be wielded as both the weapon of the oppressor and the shield of the oppressed. For example, during the Transatlantic slave trade, white captors used passages of the Bible to justify the enslavement of Africans and demand their subjugation. Slaves who converted to Christianity, on the other hand, saw parallels between themselves and the enslaved Israelites in the Exodus. And as time went on, Christianity in particular became integral to the survival, endurance, and organizing of black people in America. But it has also been used to justify black suffering, submission, and fear. 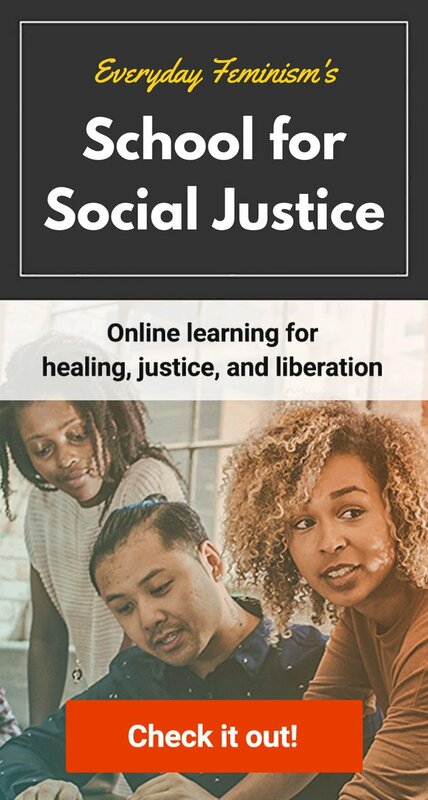 Many of the same churches that lead the black community in fighting for racial justice also teach doctrines that fuel much of the homophobia, transphobia, and sexism that exist within the black community. Furthermore, some religious leaders use social justice as a platform to further their own agendas. The dark side of Christianity in America—that it’s been a tool of colonialism, capitalism, slavery, and social control—has inspired surprisingly little resistance to western religion from black Americans. In fact, black civil rights leaders who weren’t theists aren’t recognized as often as their more God fearing counterparts. Philip Randolph and Bayard Rustin, both of whom were key to organizing the March on Washington, were both nonbelievers at points in their lives. The fact of their nonbelief is often overlooked or downplayed, but it’s evidence that religious affiliation isn’t relevant or necessary in the fight for racial justice. Today, the face of the social justice movement is still deeply religious. Many of black the speakers, leaders, and agitators doing social justice work are religious leaders—preachers, ministers, healers, spiritual teachers—who invoke the name of God on behalf of everyday people. The unique position of religion in black communities means that a heavy religious presence in social justice work is inevitable. But it isn’t the case that nonbelievers aren’t also present—their numbers are just smaller and easily overlooked. And it’s hard to tell if the quiet person beside you at the rally, the march, or the protest really believes the words of the interfaith prayers and God filled rhetoric around them. Atheists of color have more of a stake in social change than they do in dismantling religion. Black atheists who want to do meaningful social justice work often do so by working alongside religious people—even though their views on God and religion are often overlooked and silenced in supposedly progressive spaces. About a year ago, Oprah Winfrey interviewed long distance swimmer Diana Nyad, a self-identified atheist, for her “Super Soul Sunday” show. After Diana Nyad described feeling a sense of awe and wonder at the beauty of nature, Winfrey straight up told Nyad that people who “believe in the awe and the wonder and the mystery” of the world can’t be atheists. I bring up a year-old talk show segment not because I found Oprah’s comment particularly offensive, but because it so perfectly exemplifies the kind of conversations nonbelievers have with theists who cannot conceive a meaningful life without a belief in God or gods. Beyond being incapable of feeling awe and wonder at the universe, nonbelievers are also purported to be angry at God, lacking moral sense, bereft of community, devoid of hope for the future, and less healthy than those who can rely on prayer and ritual. In reality, nonbelievers are no less capable of being human beings than theists or religious people. Like most humans, nonbelievers feel awe, don’t hate things they don’t believe in, learn morals through their culture of origin and independent thinking, seek out like-minded people, hope for the best, and prepare for the worst. Belief in a higher power can be awe and hope inspiring if that’s your thing, but it doesn’t work for everyone and can actually lead to painful internal conflicts for those who can’t make themselves believe. The myth that nonbelievers all lack something in their lives and consciences heavily contributes to the stigma against them. Atheists are rarely trusted to hold political office. Young nonbelievers are ostracized at schools. People who are questioning their beliefs find themselves trapped in religion by social expectations and fear of being seen as bad people. And on the less serious side of things, it makes a lot of black nonbelievers bite their tongues about their own beliefs. It’s seen as polite when people reflexively say, “have a blessed day,” to each and every person they meet, but open atheism invites proselytizing and ignorant questions from those who don’t understand it. Yes, black atheists are a very small segment of the population. But they do in fact exist. And their existence is significant because nonbelief is on the rise. Black nonbelievers are seeking each other out, building organizations, being outspoken, and pushing back against social institutions of all kinds. There will be more young black kids growing up in the church and rejecting it, growing up without religion in the first place, taking part in secular organizations, and seeking meaningful lives without the traditions and social security that religion can provide. How we support the next generation—which will likely be more secular and less religious than the current one—depends on our ability to self-reflect and weed out harmful myths about what it means to be black in America. Written in collaboration with Mandisa Thomas, Founder and President of Black Nonbelievers (BN). BN is a 501 c3 non-profit fellowship of nonbelievers headquartered in the Atlanta area that is dedicated to providing an informative, caring, festive and friendly environment. BN strives to connect with other Black people (and their allies) who are living free of religion and irrational beliefs, and might otherwise be shunned by family and friends. Jarune Uwujaren is a Nigerian-American student recent grad who’s stumbling towards a career in writing. Jarune can currently be found drifting around the DC metro area with a phone or a laptop nearby. When not writing for fun or profit, Jarune enjoys food, fresh air, good books, drawing, poetry, and sci-fi. Read their articles.